Designed to mount backlit transparencies to plexiglass or other substrates in light box applications. 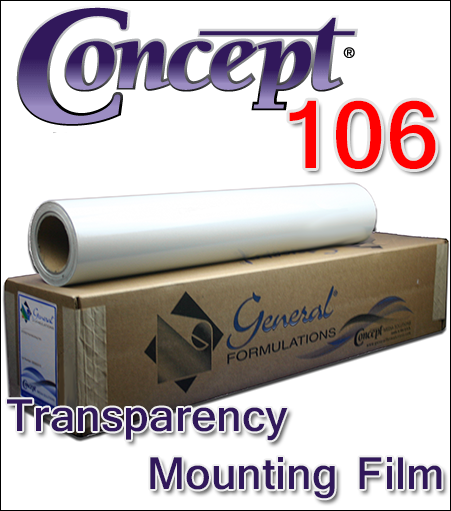 General Formulations® 106 Transparency Mounting Film also provides distortion-free face mounting of prints to these same clear substrates. Transparency mounting film is constructed with optically clear polyester that is coated on both sides with an optically clear adhesive and protected by 2 clear polyester liners. The product also provides images with valuable UV protection.